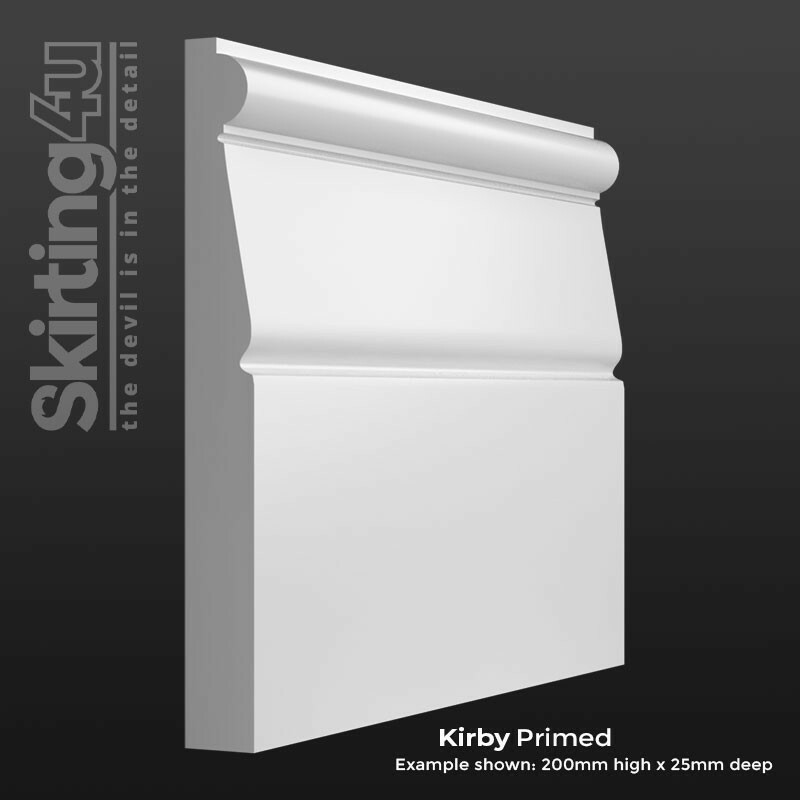 The Kirby skirting board profile is like our Brompton profile in terms of shape but differs in proportions so that it is bolder in appearance. The unusual shape makes this a much more exclusive design, so if you are looking for something different to finish your home this would be worth considering. 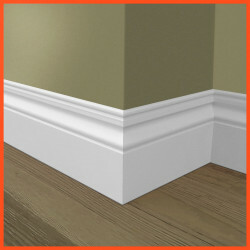 Please note - this profile is from our specialist range of tall skirting boards. The height of the profile for this design is 108mm, and the image shows this product as it would look at 200mm high overall, instead of 120mm high like our standard range. Our Kirby Skirting Board is manufactured from premium grade, Moisture Resistant MDF. This material is used extensively throughout the construction and interior design industries because of its durability and versatility. We have found that this grade of MDF is perfect for skirting boards and architrave. The hard-wearing nature of the MDF means our products will maintain condition for a long time after installation. Because it is such an easy material to work with (it won’t splinter or crack like some pine or timber products) it makes fitting your skirting board as quick and stress-free as possible. The Kirby profile is produced in our factory located in Walsall, West Midlands using our best-in-class spindle moulders to achieve a superior moulding detail. We are confident that our products will withstand even the closest scrutiny, and actively encourage our customers to order a sample so that they can instantly see that the products we produce are of the highest possible quality. Use the options below to tailor the skirting board to the specification you require. We can cut to any size, and can also undertake a whole variety of bespoke requests. If you do not see what you are looking for on this page, please get in touch as there is every chance we will be able to meet your needs!